Gone to See America 2007 Road Trip. Nikonians ANPAT 7 Day 4: Yellowstone National Park. Upon arrival in Jackson, the ANPAT participants were split into four groups, each with their own van (with a volunteer driver and navigator). Each van had ~8 photographers fully loaded with gear. The space in the van was tight, and I felt like I was sitting in a narrow commuter jet. 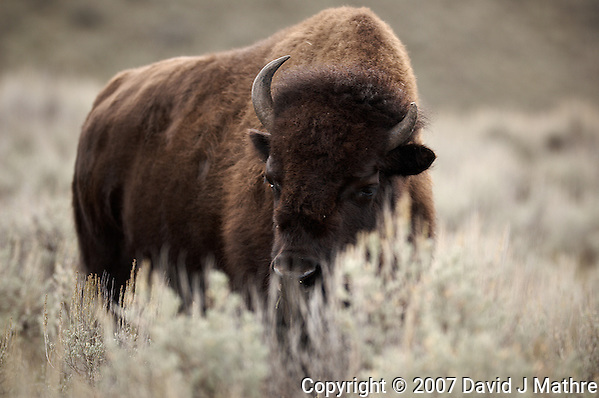 The vans had schedules to go to different locations so as not to get in each other’s way… Our van did a lot of Bison hunting while traveling through Yellowstone National Park. 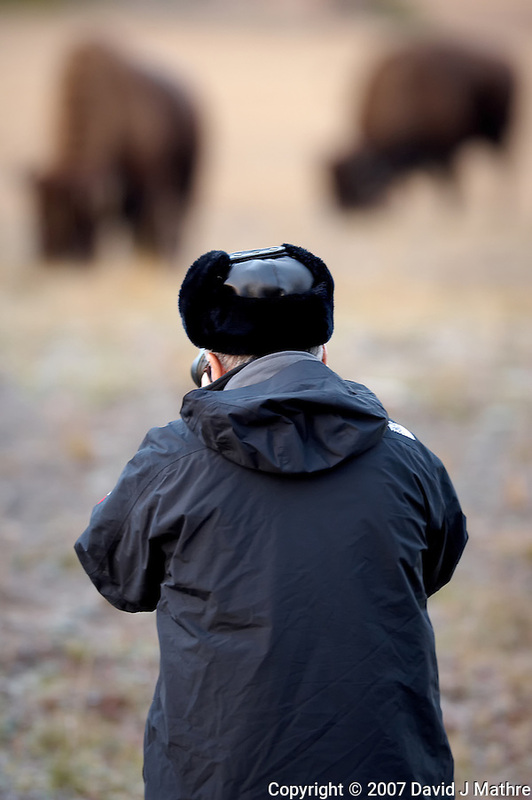 The first image of one of our Bison hunters, and the second a shy Bison trying to hide behind some grass.